The 2017 Community Health Status Survey (CHSS) asked adults in Greater Cincinnati and Northern Kentucky about their experience with stress. In our region, 2 in 10 adults (20%) reported a high level of stress (rating of 8, 9 or 10). This is the same as the national results found by the American Psychological Association in 2016 (20%).3 In our region, 5 in 10 adults (50%) reported a moderate level of stress (rating of 4, 5, 6 or 7), and 3 in 10 (29%) reported a low level of stress (rating of 1, 2 or 3). CHSS also asked, “On a scale of 1 to 10 where 1 means you have ‘little or no stress’ and 10 means you have ‘a great deal of stress’ what would you consider a healthy level of stress?” More than half (55%) said a low level of 1 to 3 was healthy. More than 4 in 10 adults (42%) said a moderate level of 4 to 7 was healthy. Only 2% of adults said a high level of 8 to 10 was healthy. Some groups in the region were more likely to report high stress levels. More than 2 in 10 women (24%) reported high levels of stress compared with fewer than 2 in 10 men (17%). Nearly 4 in 10 adults earning 100% of the Federal Poverty Guidelines (FPG)4 or less reported high stress levels (38%). This compares with more than 2 in 10 adults earning between 100% and 200% FPG (24%) and fewer than 2 in 10 adults earning more than 200% FPG (16%). Stress levels also varied by self-reported health status.5 Among adults reporting fair or poor health, nearly 4 in 10 reported high levels of stress (39%). This compares with 2 in 10 adults who reported good health (21%) and about 1 in 10 adults who reported excellent or very good health (14%). CHSS asked, “How good a job do you think you do managing your stress?” Nearly 8 in 10 adults (78%) said they do an excellent, very good or good job managing stress. About 2 in 10 adults (22%) said they did a fair or poor job managing stress. Adults with lower income were less likely to report managing stress well. Fewer than 7 in 10 adults earning 100% FPG or less (68%) said they did an excellent, very good or good job managing their stress. This compares with nearly 8 in 10 adults earning between 100% and 200% FPG (77%), and more than 8 in 10 adults earning more than 200% FPG (82%). Adults in fair or poor health were also less likely to report managing stress well. About 6 in 10 adults (62%) in fair or poor health said they did an excellent, very good or good job managing stress. This compares with nearly 8 in 10 adults (77%) in good health, and more than 8 in 10 adults in excellent or very good health (85%). 1 American Psychological Association. (n.d.). Stress effects on the body. Retrieved Aug. 1, 2017, from www.apa.org/helpcenter/stress-body.aspx. 2 American Psychological Association. (n.d.). How stress affects your health. Retrieved Aug. 1, 2017, from www.apa.org/helpcenter/stress.aspx. 3 American Psychological Association. (2017). 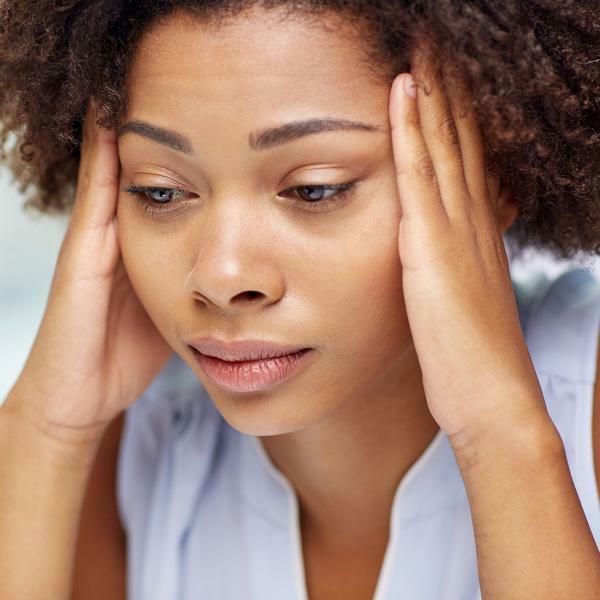 Stress in America: Coping with change. Retrieved August 1, 2017, from www.apa.org/news/press/releases/stress/2016/coping-with-change.PDF. 4 In 2015, 100% of the Federal Poverty Guidelines was $24,250 for a family of four; 200% FPG was $48,500 for a family of four. 6 National Institute of Mental Health. (n.d.). 5 things you should know about stress. Retrieved Aug. 1, 2017, from www.nimh.nih.gov/health/publications/stress/index.shtml.